Hello, I'm Bob Overfield. 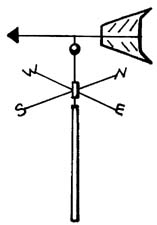 I buy, sell, and trade Lightning Rod Balls, Weathervanes, Rods, Tips, etc. I have been in the hobby for almost 40 years (makes me sound old!) I am still looking for rare items that I do not have. Let me know if you have something for sale. All trades will be considered. Look on the side tabs, I have listed just some of the items that I currently have for sale. I will attempt to keep adding to this site so check back often. I have many more items available so give me a call or send an email. 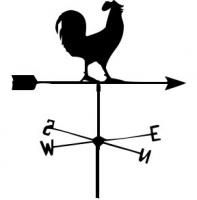 If you are looking for a particular Lightning Rod Ball, Weathervane, Rod, Tip, or accessory that you do not see available here on this page, please contact me and I will let you know what I have. To contact me you can call me at (573) 248-0521. This site is a work in progress so please come back soon!